I've been doing most of my camera trapping at Tygerberg Nature Reserve this year and some of you might have wondered where the name comes from. Well, the main theory is that is it comes from the Southern Harvester Termite. "From a distance, the blotches visible on the hills of the Western Cape reminded Dutch settlers of a leopard's skin, and the hills became known as Luipaerts Berghen (1657). This was changed to Tijgerberghen in 1661, and is now known as Tygerberg. 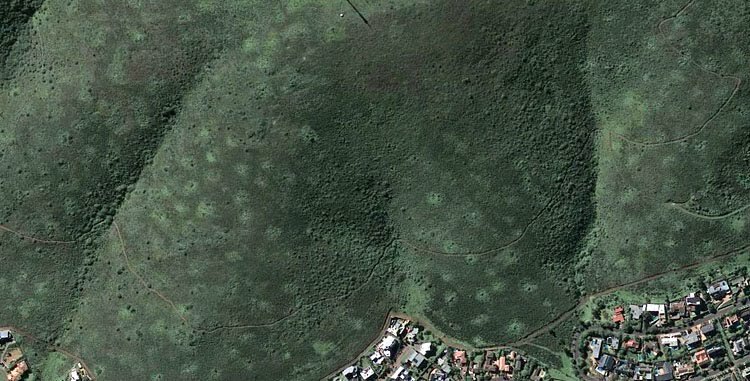 These regular round patches are called 'heuweltjies' or small hills. Many scientists think that heuweltjies are the remains of ancient termite nests. 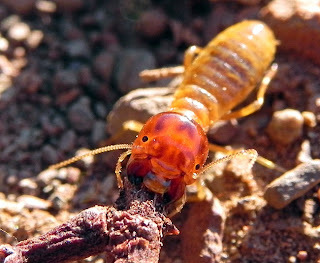 Harvester termites bring plant material into their burrows and over time they change the nature of the soil. As a result, the plants growing on heuweltjies differ from those in the surrounding veld." Another site with some information about Tygerberg and the 'heuweltjies' can be found over here or check out the brief entry for 'heuweltjies' on wikipedia. The Southern Harvester Termites are reasonably large. The soldiers have a body length of 7-13 mm and the workers are 6-8 mm long. In soil with high clay content their mounds may become sharp and conical. At the base of the mound is a spherical hive with horizontal layers of chewed vegetable matter. The queen, king and nymphs live in the mounds. 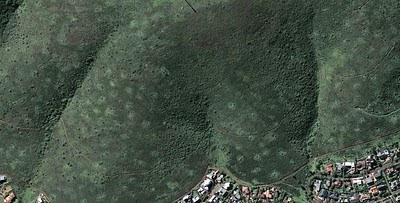 The mounds generally become covered in sand and form massive long-lived structures up to 20 m in diameter and 2 m high. These mounts are evenly spaced across the landscape (like all termitaria). The mounds are richer in nutrients than the surrounding area because of the pelleted feces and other waste that accumulate on the surface. These mounds are colonised by plants that favour disturbed sites and richer soils and can create remarkable patterns in the landscape. Workers forage in large numbers by day and prefer woody plants. Plant twigs are cut and dragged to temporary storage areas around the foraging ports. The termites avoid fynbos and sandstone areas, but are common in more open veld. Picker, Griffiths, Weaving (2004). Field Guide to Insects of South Africa. 2nd ed. Cape Town: Struik Publishers. 54. Have you been thinking of CTing a termite mound? Might get some nifty pictures of freeloaders. 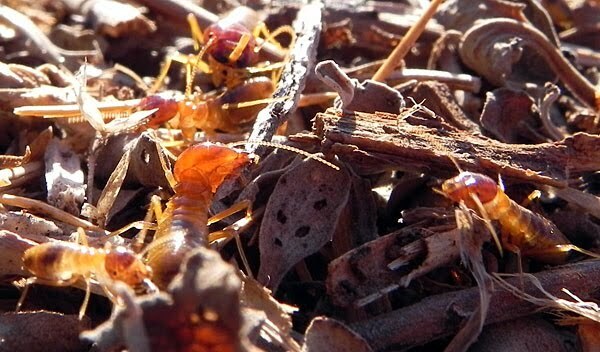 Alan Root's film about termites and termite mounds had some mighty amazing footage. I haven't seen the Alan Root movie, will keep an eye open for it, thanks. Glad you enjoyed it. I'm not too sure about the stats that are going around (especially the number for the mammals) but Tygerberg should have around 460 plant species, and its size is only 300 hectares. Its one of the last pieces of Swartland Shale Renosterveld and very threatened. The area around here is extremely rich in plant species (Cape Floral Kingdom). I'll try and do a post that focuses a bit more on the plants and vegetation of this area some time in the future.